What does the Capsa 2in1® Clients Program offer? 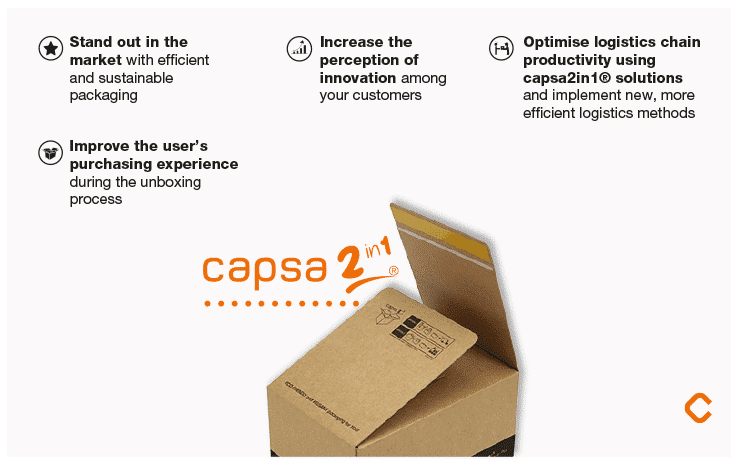 to enable customers to request capsa 2in1® solutions from any Capsa authorised corrugated cardboard manufacturer. There are major advantages to participating in Capsa’s supply program. You can make your shipments stand out through innovative packaging that provides better content protection, as well as being functional and sustainable packaging. 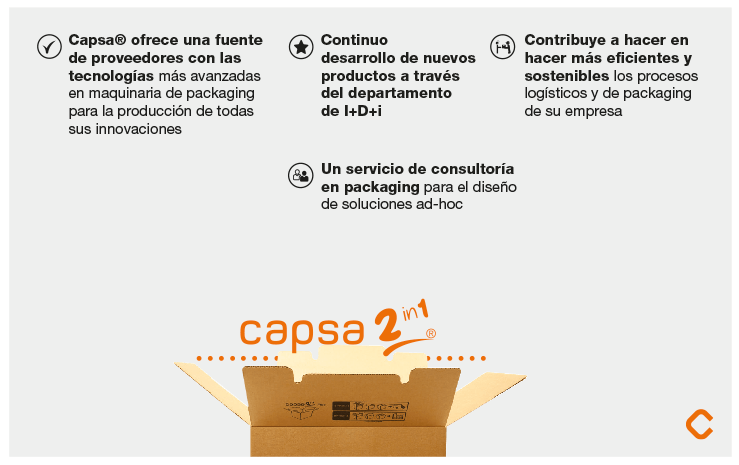 You can optimise the productivity of your logistics chain through the capsa 2in1® capsa 2in1® packaging solutions. Through the program, you can procure capsa 2in1® solutions from the authorised corrugated cardboard manufacturers that best fit your needs based on proximity and/or service. It is an easy and quick way of procuring capsa 2in1® solutions from your regular supplier. Who is this innovative program for? The Clients Program is for every customer that requires cardboard boxes for their logistics and who wants to enhance their processes using innovative, efficient, and sustainable packaging. I am interested in Capsa 2in1® solutions, what’s the next step? Simply check with your regular supplier to see whether they are part of the Capsa authorised manufacturers program. If they are, simply request the products you are interested in. What can I do to procure Capsa 2n1® solutions if my regular supplier is not part of the authorised manufacturers program? You can contact us and check the list of authorised manufacturers in your country, or you can request that your supplier contact us with a view to joining our authorised manufacturers program. Does joining the program imply any cost to my company? No, there is no cost involved at all. It is simply a system that enables us to identify the movement of products based on industrial property that are legally manufactured by authorised manufacturers. All original Capsa 2in1® products are clearly labelled in order to ensure that the product is subject to strict manufacturing standards in accordance with the Capsa® quality manual. I would like to procure from one or more suppliers, is that an option? Yes, of course. It only requires requesting Capsa 2in1® products from the Capsa authorised manufacturers from which you wish to receive a procurement. Can my company’s subsidiaries in other countries also procure the Capsa 2in1® product? 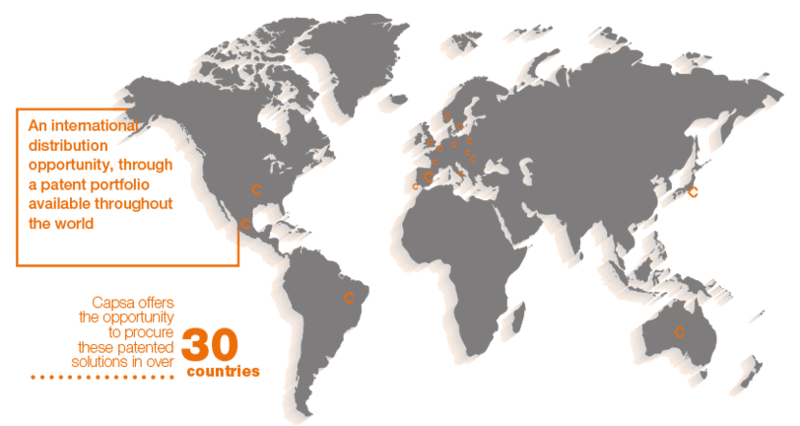 Yes, the program is available in over 30 countries worldwide and you simply have to contact us to check which authorised manufacturers you prefer for your subsidiaries in that country.